Mobile phones are growing more and more expensive. With top of the range smartphone handsets costing upwards of £400, it may be tempting to downgrade, to go for something simpler and cheaper. You may convince yourself that there’s not much to miss out on – a cheaper handset will be perfectly functional, of course, and you can make calls and send texts – that’s all that phones are for, right? Well not any more. 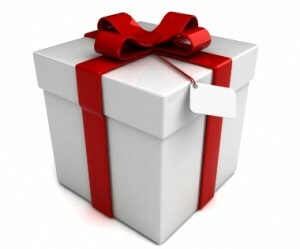 If you choose not to try out one of the brilliant, high tech smartphones out there nowadays, you are not only missing out on an opportunity to familiarise yourself with popular developing technology – you are also missing out on the generous offer of free gifts that come with the majority of expensive handsets. Many mobile phone retailers are now offering incentives such as free gifts, to try to get you to try out their smartphone handsets. One example of this can be seen at Phones4u. At Phones4u to help incentivise consumers to purchase some of their top of the range smartphone handsets such as the HTC ChaCha, the Samsung Galaxy S II, and the Sony Ericsson Xperia, when you buy one, you will receive an amazing free gift! For some time now mobile phones have come with free gifts, but this offer is now being taken to the next level, by including some of the most popular gadgets on the market. Some free gifts being given away now include the Kindle 3G, Amazon’s popular eReader; the PS Vita, Sony’s brand new handheld PlayStation console; and even the Samsung Galaxy Tab, a tablet PC that can rival the iPad. These are gifts that are being given away free when you take out certain contracts, and buy certain handsets from different mobile phone retailers. So, next time you go out shopping for a smartphone, remember, if you also want a Kindle, there may be some great offers whereby you can get both! One offered as a free gift when you purchase the other. Keep your eyes pealed, to make sure that you get the best deal around! When I got my phone, there was quite a few places offering free gifts like PS3s but I was a bit worried that they would somehow rope you in to something more expensive to make their money back. I’d be interested in hearing from people that have signed up for this contract on whether it ended up costing them more than they originally thought it would. I’m tempted to switch to GiffGaff when my contract expires because there’s no contract and the’re crazy cheap. Good luck with your switch, as you say, make sure there are ‘no strings attached’ and if not, get yourself a PS3! It does make me wonder why they don’t provide screen protectors with most MP3 players, tablets, phones etc. everyone seems to buy one after, why not include it in the product? Good question Christopher! It seems that eveyone who purchased one of those touch screen gadgets would certainly buy screen protectors. Why it’s not included? Beats the hell outta me! Seriously? A samsung galaxy tab for free? That sounds interesting. However, is the price of the phone doubled? Since there’s a fabulous free gift. Thanks for the comment, welcome to the blog!